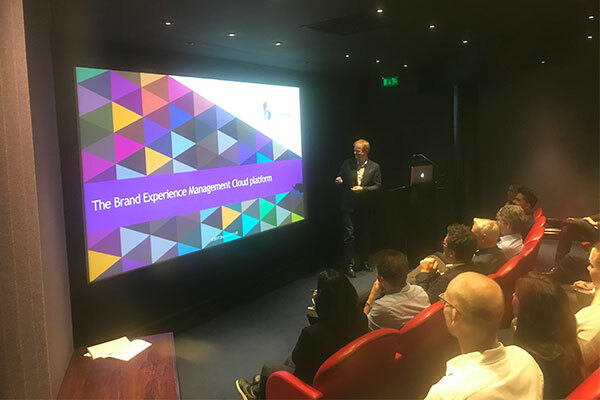 Brandworkz has just hosted another in our series of Client Sharing Events. Based around the idea of Client Connections, the event is not about us; it is all about our clients. The aim is to learn from each other by hearing talks from marketers in varied industries who use Brandworkz to solve some of their marketing challenges, and of course by networking and sharing experiences afterwards. There were five stimulating and thought-provoking presentations, so we thought we’d share a quick roundup of some of the things we learnt. 2. Giving teams a great looking, intuitive and useful brand hub will drive a 300% increase in engagement with brand guidelines and brand content. 3. Having a ‘library of work’ to showcase ongoing work people are doing in their regions, particularly in a decentralised business, drives up standards. These don’t necessarily need to be ‘perfect world’ outputs but encourages teams to show and share their work with colleagues globally. 4. The environment for higher education is more disruptive now than it has been for the last 20 years, so having an effective brand is vitally important in order to stay competitive. 5. Integration is the new mantra for marketing. 6. University of Greenwich have integrated their written content platform (Banner) with their web CMS (Squizz) which in turn integrates with Brandworkz Web-to-Publish to auto-populate course brochure templates and other marketing materials in Brandworkz. 7. In a company with 10,000 employees, each person spends a minimum of 20 minutes per day creating documents and presentations, which adds up to 3,333 hours of time every single day. Apart from the massive toll on employee productivity, there’s no guarantee that any of these documents will be on-brand. 8. The Templafy platform solves this ‘document anarchy’ by enabling people to use only ready-made, approved and compliant Office documents that are auto-populated with the right content. 9. The Templafy and Brandworkz integration means Brandworkz brand assets are available right inside MS Office documents and templates. 11. Brand management software similarly needs to shift to become brand experience management technology, with features to support the CMO’s new challenges. 12. One of the biggest trends in Brandworkz across the last few years has been the growth in the number of integrations being created as clients use more and more marketing systems. Many have been done by clients themselves using the Brandworkz API. 13. With increased numbers of integrations, more assets are being pushed out to other systems automatically. Therefore asset visibility has become absolutely vital. Clients want insights and data on the assets themselves and how they are performing in media channels.